Downtown NYC has long been a hotbed for reinvention, and The Bowery has been at the molten center making the transformation from halfway houses and grimy punk clubs to exclusive hotels and cutting edge art museums. 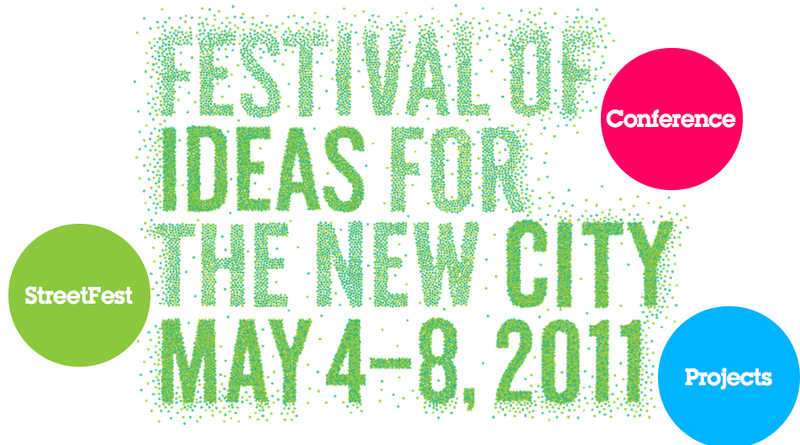 Therefore its fitting that the citys oldest thoroughfare will be home to Festival of Ideas for the New City, May 4-8. The festival will bring together thought leaders in diverse fields, focused on cross-pollinating ideas and shaping the New York City of the future, and includes a 3-day conference, street festival, and independent projects dotting the Downtown geography. Participants and contributors include Rem Koolhaas as a keynote speaker, The New Museum, Pecha Kucha, Kickstarter, StoryCorps, Brooklyn Flea, Cabinet Magazine, and dozens more. Its an impressive undertaking, and exciting to see new public forums for ideas take shape as funding for stalwarts like NPR and PBS are threatened. Looking forward to getting swept up in winds of change.